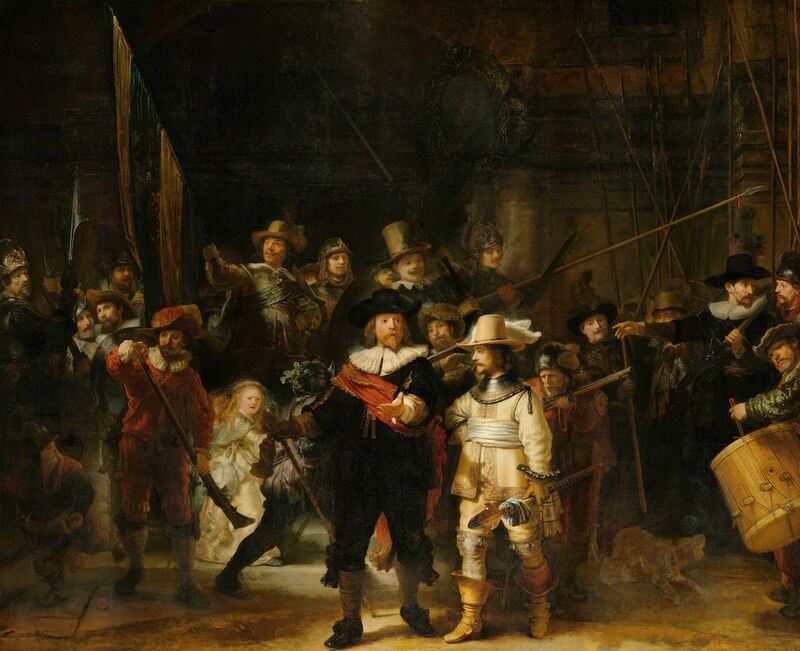 Rembrandt van Rijn died 350 years ago this year and museums all over the land are commemorating the event. 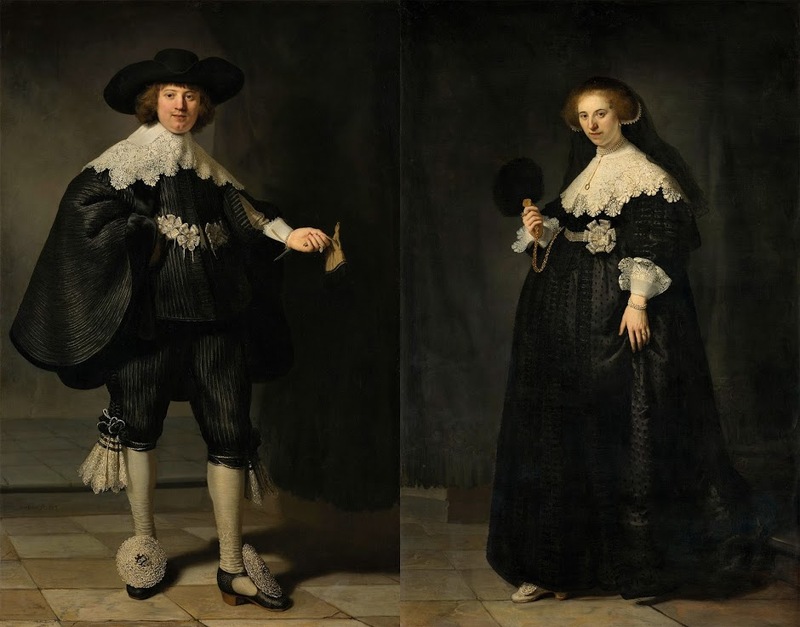 Here are some key facts about the Netherlands’ greatest – and most lucrative – old master. 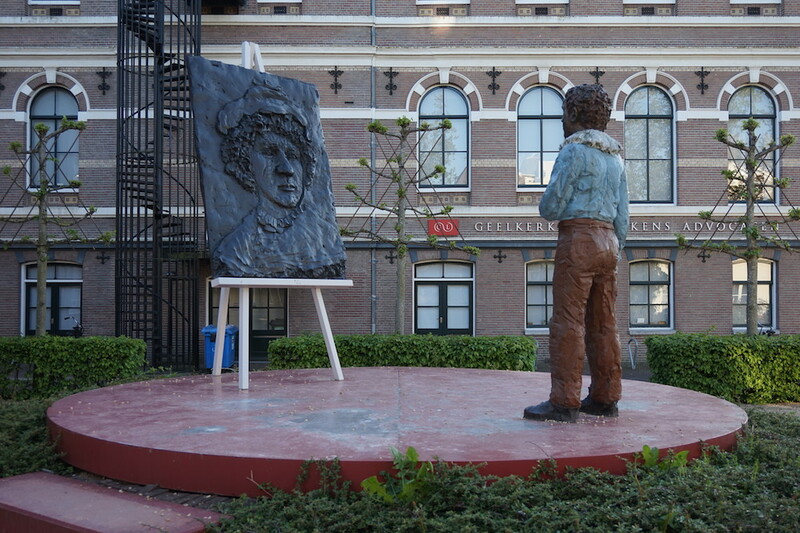 Rembrandt Harmenszoon van Rijn was born in the Weddesteeg in Leiden on July 15th 1606. The 17th century building is no more but a plaque marks the approximate spot. Leiden remained his home for the next 25 years and while among his many siblings there is a baker and a cobbler, Rembrandt chose a different trade, that of painter. Painters belonged to the same guild as house painters and, on average, earned around twice as much as carpenters. After studying with local painter Jacob van Swanenborgh, Rembrandt went to Amsterdam to study composition with Pieter Lastman. After six months he returned to Leiden to set up shop for himself. His reputation as an etcher and painter grew and his work started to sell. By 1631 it was time to go back to Amsterdam where the patrons were. Rembrandt painted his first group portrait, The Anatomy Lesson of Dr Nicolaes Tulp, a famous physician and mayor of Amsterdam, in 1632, aged 26. Two years later he married wealthy Friesian Saskia van Uylenburgh and the couple moved into a house at the Nieuwe Doelenstraat, the first of a number of Amsterdam addresses to house the Van Rijn family. In 1639 Rembrandt and Saskia, by now quite affluent, bought a house in what was then the Breestraat (now the Rembrandthuis in Jodenbreestraat). The rich merchants of the Golden Age liked his portraits and allegorical paintings in his typical chiaroscuro. But his popularity fell around 1640, due to, it is thought, his lackadaisical way of handling clients, only delivering a painting when he was in need of funds and then demanding more than the agreed price. In 1642 Rembrandt’s wife Saskia died. It is the same year in which he completed The Night Watch, arguably his most famous painting and one that has weathered various storms. In 1715, when moved to the royal palace on Dam square the canvas proved to be too big for its designated place and was subsequently cut to size, losing 101cm in the process. The painting has been attacked several times since then. In 1911, a sailor declared unfit for service took out his grudge against the government on the Night Watch with a knife. Another, much more serious, assault took place in 1975 when a disturbed man cut out a whole ribbon of canvas, necessitating an eight month restoration. In 1990 a man squirted acid on the painting but timely action by museum guards saved it. 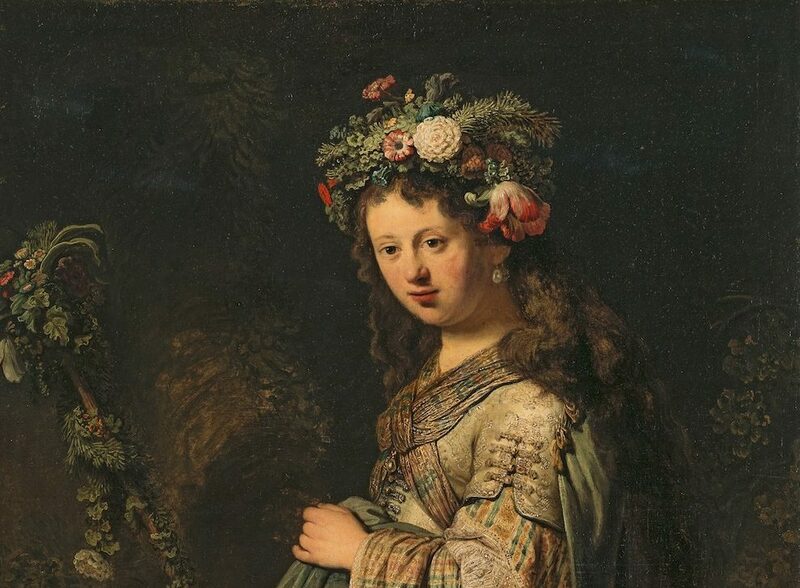 Rembrandt continued to paint, spend too much money and live in unmarried bliss with various women. Saskia’s inheritance, the money he would forfeit if he married again, eventually ran out and he had to sell his house and belongings. His next and final address was Rozengracht 184, where he died in 1669, a poor man. He was buried in the Westerkerk, it being the nearest church to his house, but where exactly is unknown. Rembrandt was not the most popular painter of his time. That honour goes to Bartholomeus van der Helst. His status as the foremost Dutch painter is also quite recent, Antwerp-born Peter Paul Rubens being the national painter of choice when the Netherlands and Belgium were still one. But when Belgium became an independent country in 1830 the Netherlands needed a Dutch painter to take his place. Rembrandt was put in the spotlight and hasn’t left it since. There are no relatives extant of the Rembrandt family line but in 1991 a Leiden archivist tracked down the De Goeij brothers who can trace their ancestry back to Rembrandt’s brother’s daughter who married a baker named De Goeij and who remained in Leiden. Art dealer and Maecenas Jan Six, whose splendid portrait Rembrandt painted in 1754, fared better in that respect. The present-day Jan Six, also an art dealer, even discovered a ‘new’ Rembrandt in 2018. Thanks to the weeding activities of the Rembrandt research project, the total oeuvre of the painter is now thought to comprise some 300 paintings, 300 etchings and 2,000 drawings. 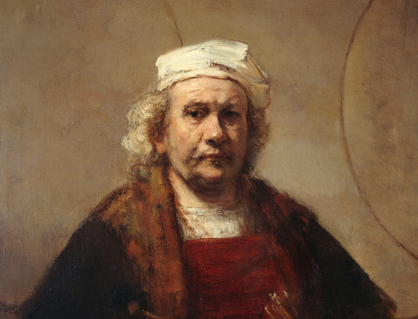 Rembrandt’s own face appears in around 50 paintings, 32 etchings and seven drawings. His self-portraits effectively cover the whole of his life, from the 22 year-old stripling to the 63-year-old man.